What's the Buzz about ADU's? 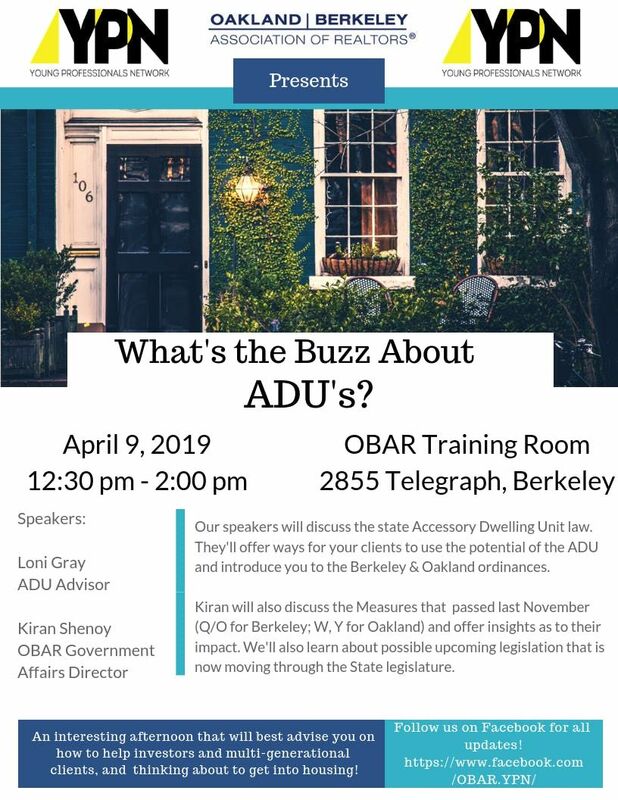 We will have guest speakers:LONI GRAY - ADU ADVISORKIRAN SHENOY - GOVERNMENT AFFAIRS DIRECTOR, OBAROur speakers will discuss the state Accessory Dwelling Unit law. 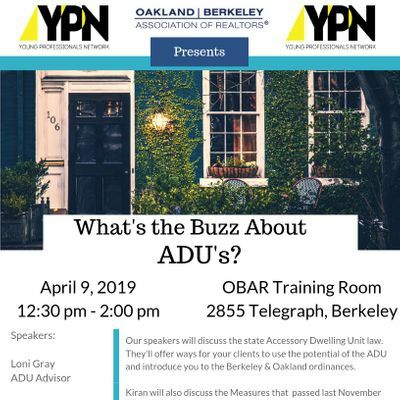 They'll offer ways for your clients to use the potential of the ADU and introduce you to the Berkeley & Oakland ordinances.Kiran will also discuss the Measures that passed last November (Q/O for Berkeley; W, Y for Oakland) and offer insights as to their impact. We'll also learn about possible upcoming legislation that is now moving through the State legislature. Come prepared to ask questions and take notes! Whats the Buzz about ADUs?